Sonic Boom's buyer of all things from the fringe. Be it deep jazz, world music and reggae reissues, modern composers, electronic abstraction, shear noise and experimental music, shoegaze, post-punk, goth, and industrial music, or the heaviest psych and krautrock jams, Jefferson is in! As a regular writer for numerous film and music magazines over the years, and contributor to such sites as Resident Advisor and Headphone Commute, he felt the need to get textual detailing his 10 (in no particular order) for 2018! Born of the countercultural hotbed of Thatcher's England, John Balance and Peter Christohperson's music as Coil may be the most explicitly queer of all of the British post-punk and industrial sounds of the 1980s. The origins of Coil can be found in Christopherson's contribution to the very outfit that coined the term "industrial music", and the transgressive sound, art and theater they deployed as Throbbing Gristle. Splitting from TG with the meeting of Zos Kia's John Balance in 1983, Christopherson's fruitful collaborations with Balance would carve out a body of surrealist, psychedelic and "sidereal" music on the fringe of industrial culture for the next three decades. By the mid-1990s the duo had brought on supporting members Drew McDowall, Stephen Thrower, and William Breeze and an assimilation of UK club music and American minimalist composers into their sound. 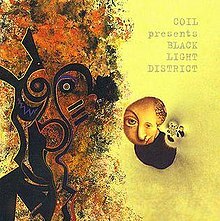 Produced in the interim between their "Love's Secret Domain" of 1992, and the ill-fated "Backwards" album for Trent Reznor's Nothing label, "Black Light District" was meant as a stop-gap as they awaited the release of the imminent 1995 recordings. Rather than a in-between album, what the quartet manifest instead was one of the most substantive and genre elusive works in the whole of their discography. Now finally back in print on LP after two decades, thanks to Dais! Following on the launch of their Japan Archive Series, Light in the Attic dug deeper into the Japanese underground with this gorgeous set of Haruomi Hosono reissues. A hyper-prolific producer in the late 1970s, through to the 90s, Hosono is most well know as role in the electronic pop trio Yellow Magic Orchestra, alongside Ryuichi Sakamoto and Yukihiro Takahashi. Yet concurrently with the founding of Y.M.O. his own solo forays into Pacific island music and electronic exotica exhibit an equally rich and nuanced exploration of genre fusion. Taking in influences from Caribbean reggae and disco, Pacific island exotica, American R&B, jazz and boogie, and a fixation on technological futurism, 70s and 80s producers like Yasuaki Shimizu, Tatsuro Yamashita, Toshiki Kadomatsu, and Haruomi Hosono embraced the latest studio equipment and techniques in pursuit of their complex musical hybrids. Look no further than this set's "Paraiso" for evidence of the riches to come of this fusion, one of Hosono's best in a series of musical postcards to purely imagined destinations. In the mid-2000s, the British electronic music label Modern Love woke audiences to Demdike Stare's dual-pronged refashioning of dance music into a cerebral/body impacting experience of noise and rhythm. Appropriating the textures and dynamics of early industrial music, Sean Canty and Miles Whittaker built up a sonic vehicle to express their love of the genre's power and finesse through a series of cryptic 12" releases. The Quietus interview with the duo explores the "unholy matrimony" found in the cross-genre plumbing of the duo's passion for all things Italian Giallo and French Fantastique. Having explored underground cinema and the occult, they have moved into new territory in the wake of 2016's "Wonderland". Their newest is a raucous nine track smash though the realms of British club music of the 1990s. In its wake releasing mangled, maligned, and malformed distortions of techno, drum and bass, two step garage, and jungle. A Frankenstein's monster of dancefloor and bass music. It's a rare thing that a "lost" album by such a legendary artist, from one of their most game-changing and prolific eras, resurfaces years after its genesis. The past summer saw the release of such an album by the titan of American bebop, hardbop, and free-jazz, the one and only John Coltrane. 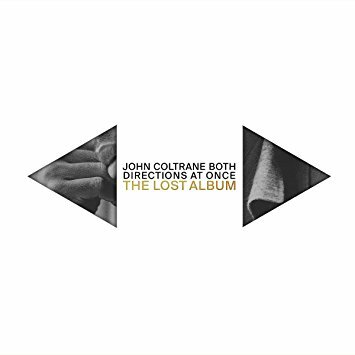 Two years before his explosive venture out of melodic modal jazz with “A Love Supreme", Coltrane recorded "Both Directions at Once: The Lost Album” with the members of his so-called classic quartet; bassist Jimmy Garrison, drummer Elvin Jones and pianist McCoy Tyner. For more insight, the excellent New York Times piece came on the heels of Impulse! Records announcing the June release of a full set of material recorded by the quartet in March, 1963. Coltrane's personal copy of the recording was then stashed away and lost, only recently unearthed by Juanita Naima Coltrane. Needless to say, there was SUPREME anticipation for this album, and it delivered. Of all the unexpected genre turns from electronic music artists in recent years, is among the most simultaneously confounding and fruitful. Plumbing Sebastian Gainsborough's music as Vessel, The Quietus digs deeper than the oppressive atmospheres and rough-shorn metallic surfaces of his first two albums for the British Tri-Angle label. While his home label goes some way to suggest an associated scene and sound, one the British press labeled "drag", Gainsborough's productions have always stood apart. Seemingly taking a cue from Polish contemporary Michał Jacaszek's "Glimmer" album of 2011, "Queen Of Golden Dogs" is a concept album of literally baroque designs. Where Jacaszek employed the harpsichord and piano sparingly in his compositions, Gainsborough has taken up the full gamut of Victorian chamber instrumentation and choral arrangements. These compositions often round a corner where they intersect with harsh digital production and sky scraping noise, propelling the whole affair into very 21st century forms of electro-acoustic mayhem. Atavistic, futuristic, technological and arcane, there's nothing else released this year quite like Sebastian Gainsborough's "Queen...". One of the last, and final, compositions completed before his untimely death earlier this year, the score to Panos Cosmatos' "Mandy" will remain a notable entry in Jóhann Jóhannsson's discography. Perfectly mirroring the psychosis, paranoia and psychedelia of Cosmatos' atmospheric 1980s genre-mashup, the Icelandic composer enlisted SUNN O)))'s Stephen O'Malley and Randall Dunn to amplify the weight of the score's mass. The result is synthesizer heavy accompaniment to the dread and paranoia of Cosmatos' neon-tinged atmospheres, punctuated by doom metal riffs and O'Malley's frayed guitar work. Fans of the director's 2010 "Beyond the Black Rainbow" should make every opportunity to catch the sensorial glory of "Mandy" on the biggest screen, and most substantial soundsystem possible. As they say; "Maximum volume yields maximum results." 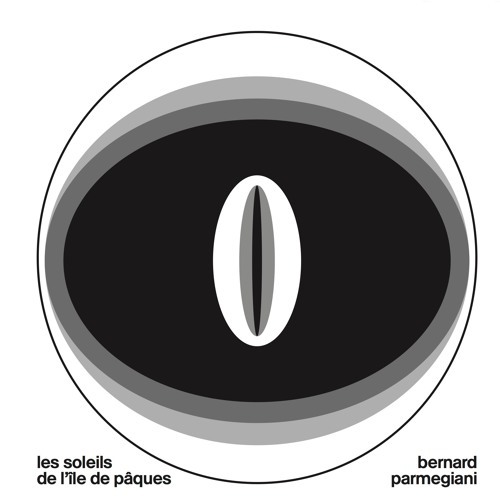 The lineage of Electronic music's birth in the 1950s with Edgar Varese, Pierre Schaeffer and the founding of Groupe De Recherches Musicales continued into the 1970s with groundbreaking work from Iannis Xenakis, Francois Bayle, and Bernard Parmegiani. Parmegiani employed techniques running the full gamut of the arsenal on offer at the studio, his constructs built upon the foundation of musique concrète, tape manipulation, and early synthesis and computer music, fashioning previously unheard hybrids. These explorations into the nature of pure sound, devoid of association or identifiable musical and instrumental voices, drew the attention of the experimental filmmakers of the time. Among them, French director Pierre Kast, his editor and assistant Chris Marker, and Polish experimental animator Piotr Kamler all commissioned musical constructs from the Italian composer. Look to Kamler's "Labyrinth", for the synergy of darkly surrealist imagery and sound describing the oblique landscapes of these collaborations. We can thank the always compelling WRWTFWW label for the rare unearthing and reissue of this set of works from two of Kast's short films. Epitomizing the post-punk/industrial fusion aspect of the Sacred Bones label roster, Uniform returned with "The Long Walk". The furious soundscape of their third album (outside of a set of collaborations with experimental metal outfit, The Body), runs the gamut of dissonant molasses crawl, passages of substantial lurching weight, and bludgeoning epileptic hysteria. It's fitting that their interview with The Quietus touches on the American genre fiction author, as the album itself is inspired by a dystopic, authoritarian short story by Stephen King. Not the sort of long walk you take by choice... unless of course, you enjoy this sort of punishment. Saxophonist Shabaka Hutchings' mining of jazz's cultural memory is informed by his numerous concurrent projects, including cosmic jazz trio The Comet Is Coming, Afrofuturist outfit The Ancestors, and as a guest player with the legendary Sun Ra Arkestra. So there is possibly no better player in contemporary jazz more equipped to lead a quartet exploring the fringes of the territory once mapped out by post-Bebop, Afrofuturist and spiritual jazz luminaries, Charles Mingus, Pharoah Sanders, and the aforementioned Sun Ra. The central quartet of Hutchings, Oren Marshall on tuba, and both Tom Skinner and Seb Rochford on drums, is aided by a rotating cast of contemporary jazz players including Pete Wareham, Eddie Hick, Moses Boyd, Maxwell Hallett, and Nubya Garcia in their ranks. 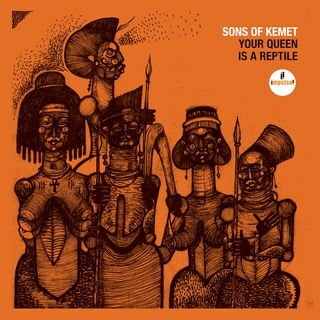 Sons of Kemet’s third album is a first for Impulse!, the legendary and influential American jazz label that was home to Charles Mingus, John Coltrane, Pharoah Sanders, Freddie Hubbard, and Bill Evans at the peak of their 1960's output. So these are the largest of jazz shoes to fill. This adds another weighty dimension to Hutchings’ relationship with American jazz, placing him among the players whose legacy he’s endeavoring to subvert, deconstruct, and expound upon. By taking an expressly Afrobeat route into this historic confluence, Sons' have tapped into the pulse of a vital new territory, abounding with possibility. Returning after a 8 year hiatus, the Providence Rhode Island post-harcore band Daughters delivered their jagged, dynamic take on metal, industrial, and postpunk informed rock with "You Won't Get What You Want". Following previous releases on Hydra Head, they are back with an even heavier hitting and more genre elusive collection of tracks that easily propelled them into the hybrid rock contenders of the year. As an early indication, their new home of Mike Patton's Ipecac label was a sign that this was going to be a vituperative, abusive frisson of the heaviest nature. The following blistering series of live shows across the US scaled heights of dynamic power, and propulsive hard hitting industrial rhythm pretty much beyond description. All hyperbole aside, Alexis S.F. 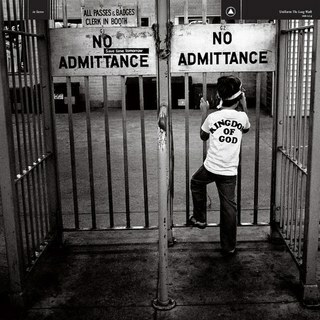 Marshall is one hell of a frontman.